Well, I guess we were just in a New York State of Mind in 2017. An extended “writer’s retreat” weekend in Cooperstown in April. It was my wife’s first time in one of my favorite places on earth. It was also our first time doing Air B&B. Despite coming home with a nail in my tire…it was a truly relaxing, lovely trip (and, yes, we both got some much-needed writing done). A weekend getaway to NYC in June to hit up some old haunts (with a jaunt out to Brooklyn and the Brooklyn Museum). 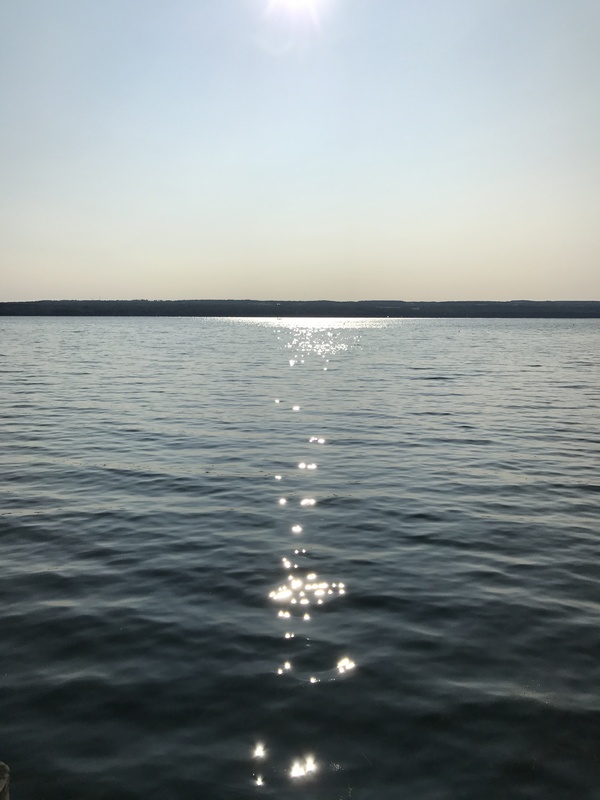 A family vacation in August renting a house on Lake Seneca (first time in the Finger Lakes region) from which we watched the solar eclipse. The vacation also included day-tripping to Watkins Glen and the Canadian side of Niagara Falls (a long overdue first time there!) The Niagara experience inspired a short-story I’m currently polishing up.